Nissan jointly developed the boxy minicar with Mitsubishi. YOKOHAMA, Japan -- Nissan will unveil a concept minicar this month at the Tokyo Motor Show in which nearly every conceivable cabin surface is envisioned laminated with touch-screen displays. Dubbed the Teatro for Dayz, the concept anticipates a generation of social media junkies whose members will be getting their driver's licenses after 2020. Designers have turned the car's interior into what Nissan calls "a clean canvas" of iPad-like screens. Nissan calls the Teatro for Dayz interior “a clean canvas” of iPad-like screens. In Japan, young people's fading interest in cars is such an alarming trend that the Japanese even have a name for it: kurumabanare, or car separation. Automakers are rethinking packaging to lure them back. 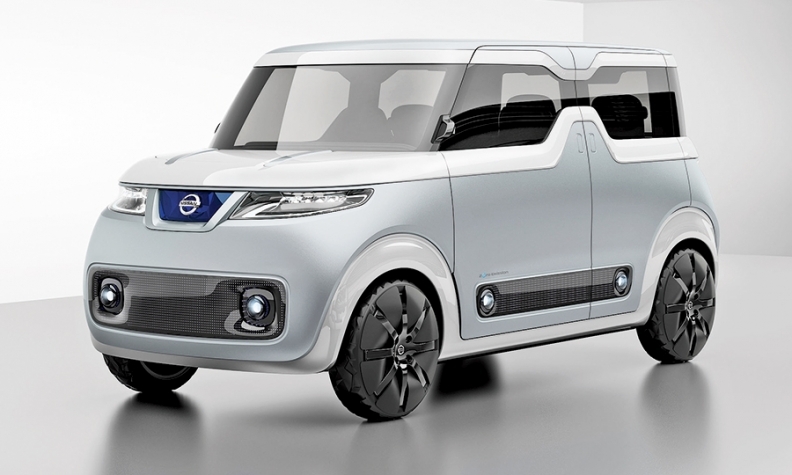 Designers based the concept on the Nissan Dayz, a boxy 0.66-liter, three-cylinder minicar for Japan that was jointly developed with Mitsubishi Motors Corp.